When a child is growing up, they’re experiencing a constant influx of knowledge and trying to assimilate and remember it. Kids spend most of their childhood at school, learning mathematics, history, science, geography and so on, all to prepare them for a rewarding career; but there’s more to finding such a career than academic qualifications. Life skills are also essential, providing the necessary tools with which your child can apply their academic or vocational skills to their career, and find a satisfying and enjoyable way to earn a living. English is the most commonly spoken second language across the world, and candidates for many careers either require or would benefit from being able to speak English. If your child is having problems learning English, or they need more help to become fluent, it’s worth considering an English as a Foreign Language (EFL) course. Providers like ECS London run summer schools in the UK, using a combination of book learning and practical exercises to improve English skills. The summer schools are designed to be enjoyable, providing access to some top of the range facilities and giving your child a chance to speak English like a native while enjoying sports and leisure activities in a beautiful location. The more your child knows about the world around them, the better they’ll understand how to function in their chosen career, and the more effective they will be. Knowing about political situations, history, cultures, and beliefs in their own and other countries gives them valuable insight into their role, and ensures they have an understanding of any external influences applicable to their field. All knowledge is useful, even knowing that a widely-held belief isn’t true, or having a breadth of knowledge about different types of music, being well-read, and having a working understanding of fields beyond the realms of their profession. The more your child knows, the better their ability to judge a situation and the more skilled they’ll be at communicating. Exposing your child to as many different experiences as you can will be highly beneficial, for example, playing different types of music, encouraging them to read books from all genres, showing them how to grow plants, cook, and explore the natural world. Talk to them about what’s on the news, encourage them to use the library, watch documentaries on TV, and take them to museums and exhibitions. All the knowledge they absorb will make them more well-rounded, able to hold their own in a conversation and enable them to make connections and come up with new ideas that will help them advance their career. 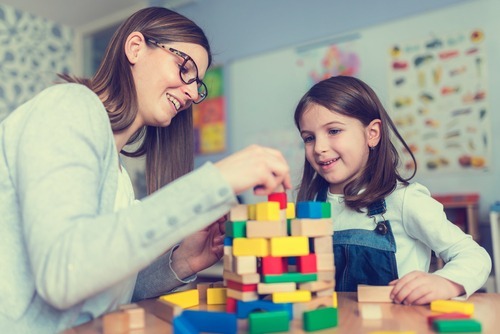 Life skills are just as necessary as academic or vocational qualifications, so give your child the best start in life by helping them to develop their life skills.